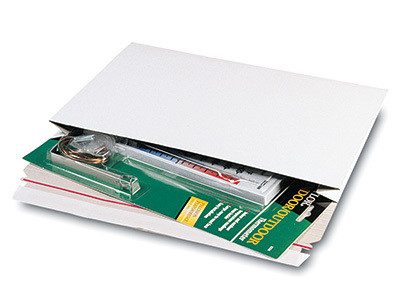 Gusseted sides expand to 1" depth to mail bulky or odd-shaped items, and mixed content shipments. Self-sealing clayboard mailers ship and store flat to save space. 100% recycled content mailers are 100% recyclable.